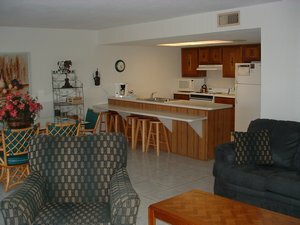 Magnificent 2-bedroom/2-bathroom resort family condominium rental is located on the beach of the Gulf of Mexico in the relaxed family-friendly town of Indian Shores. Indian Shores, a unique Gulf beach community is located west of Tampa in the middle of an island with Clearwater to the north and St. Petersburg Beach to the south. 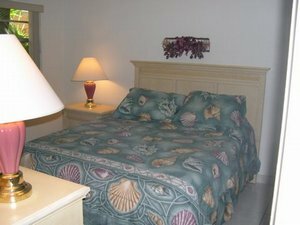 Surrounded by warm, gentle surf and plenty to do... or do nothing but savor the relaxed atmosphere and walk barefoot on the beautiful soft, white sandy beach right outside your door. Our large heated pool has plenty of sun and shade, lounging chairs, and tables with umbrellas, making it a great place to relax or enjoy a poolside BBQ or picnic. A new cool paver deck surrounds the entire building with a deck that leads right out onto the beach. Just two steps off the deck and you’re on the soft, white sand of one of the most beautiful beaches on Florida’s gulf coast. 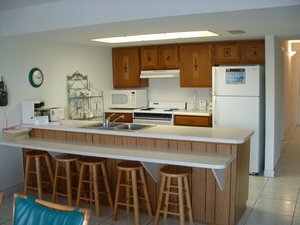 There are also BBQ grills and picnic area right off the beach so you can watch the beautiful sunset over the gulf. 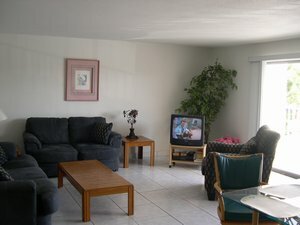 Indian Shores is conveniently located to all of central Florida’s world-famous attractions. It is just 45 minutes from Busch Gardens in Tampa Bay, 90 minutes from all the Orlando/Disney theme parks. 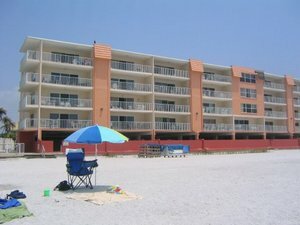 Indian Shores has over two miles of sandy beach to enjoy and activities include swimming, shelling, sunbathing, beach volleyball, and fishing. For more excitement, you can rent jet skis, wave runners or powerboats. Two county parks are located in Pinellas County near Indian Shores; both are located right on the Gulf of Mexico. The parks offer fishing piers, nature trails for hiking, picnic areas, swimming and camping. There are several golf courses in the area, and the nearby Tampa Bay area boasts 34 challenging and reasonably priced courses. 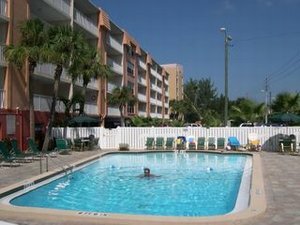 Indian Shores is a quieter, less crowded alternative to its larger and better-known neighbors such as Clearwater Beach and St. Pete Beach. 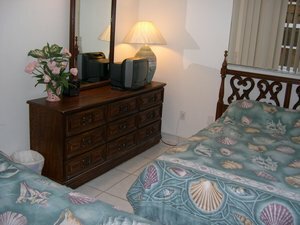 It's a great place for vacationers seeking a quiet or family vacation. Check-in 4:00 pm Check-out 10:00 a.m.